Make poached eggs for breakfast then remove the poaching frame from the pan and fry food or saute for the other meals of the day. Measures, 9.5"/24cm diameter and the stay cool handles 6"/15cm. 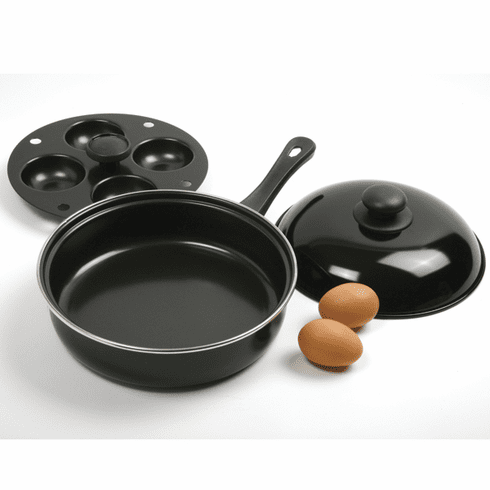 Includes a nonstick removable 4 egg poacher frame. Use nonstick on wooden utensils. Hand washing recommended.